There is an interesting article in the Guardian newspaper this week which looks at rights of way and the work we are doing to protect them. 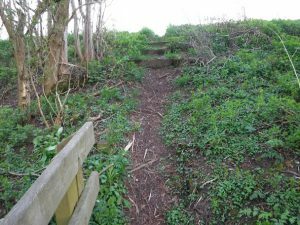 We need to ensure that rights of way are listed on the definitive map by 2026, otherwise we risk losing them permanently. We run free training courses on how you can help with 2026, please get in touch with us at richard@inter-logic.co.uk if you’re interested in finding out more. There’s also more information available at the national Ramblers site. We’re pleased to announce that our annual series of winter walks is this year themed on loneliness and feeling excluded from society. 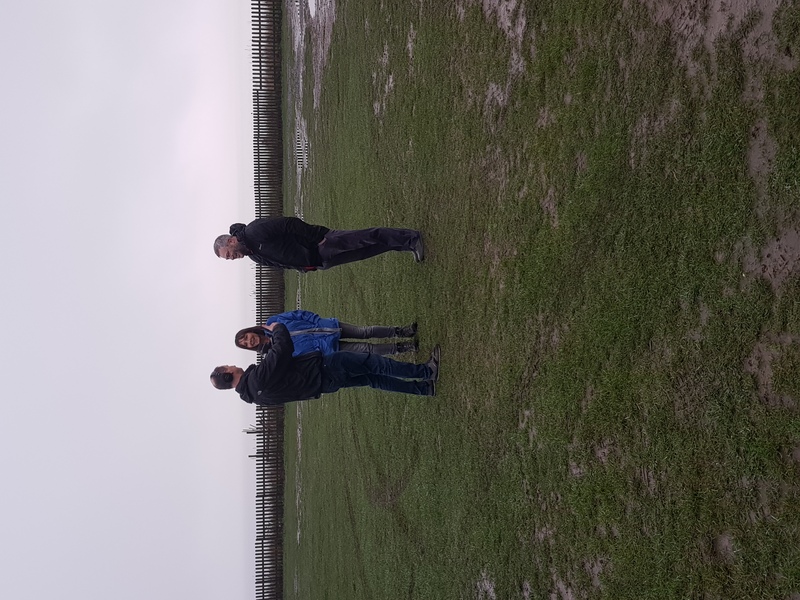 So, we’re running led walks and we’re doing all that we can to try and make them appealing and welcoming to those who’d love to join a group, but might find it hard to do so. And we’re also of course always ready to welcome new members who want to get healthy in the new year, and what better way than by walking? The festival runs from Friday 21 December 2018 until Sunday 6 January 2019. We have details of some of our walks at our festival page, with the facility to see more about each of the walks on Meetup. Please do message us if you have any questions, queries or are tempted to come and walk with us. 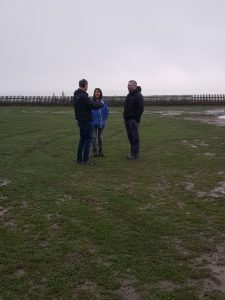 We hope to get some media coverage of our festival and we appreciate all the publicity we can get to try and reach out to potential new walkers. 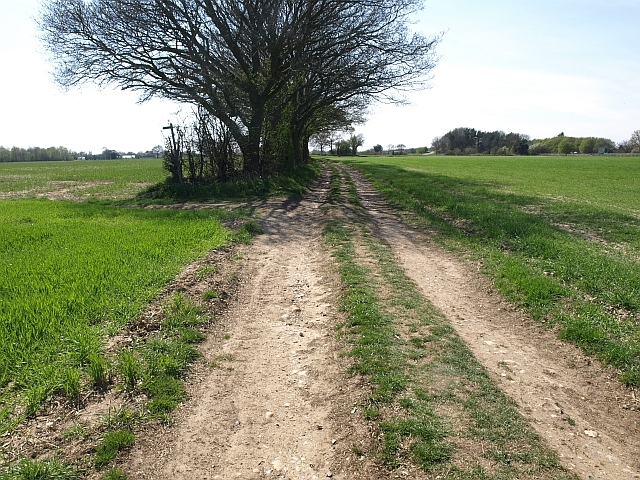 The 6 routes all lie to the east of Dereham, and are already mostly well established tracks used by farmers and residents in the area, as well as members of the public. This decision now means that all of the routes will be recognised as Restricted Byways, giving the public a legal right to use them. 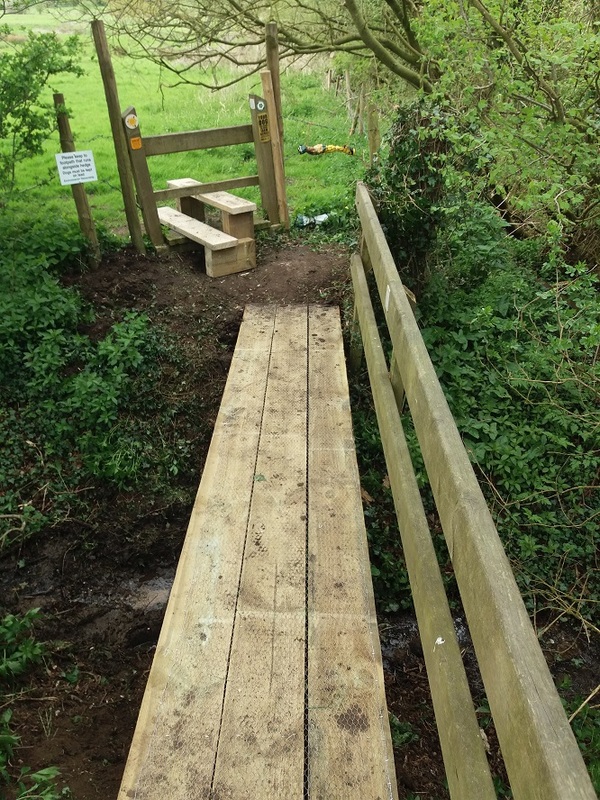 Restricted Byways can be used for walking, cycling, horse riding and carriage driving (ie with a horse and cart). The public cannot use a restricted byway in a mechanically propelled vehicle such as a motorbike or a car. 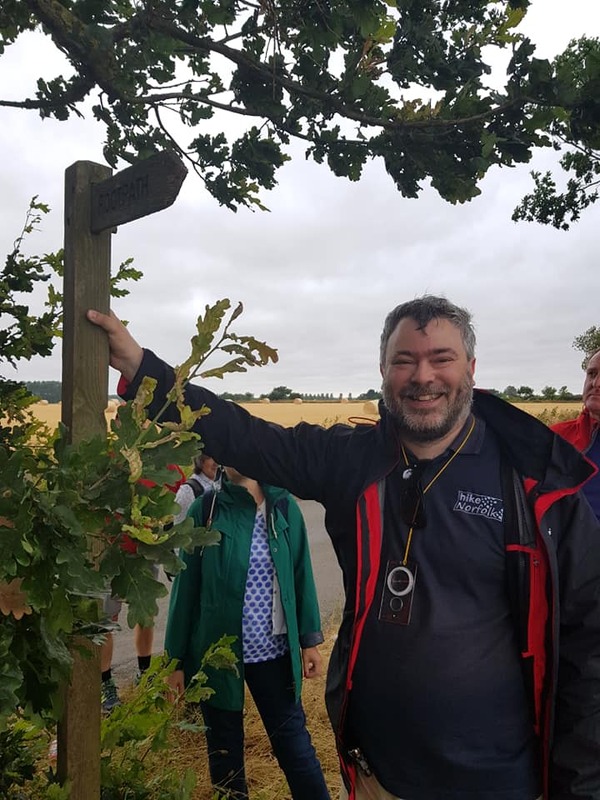 Ken Hawkins, Chair of Dereham Walkers are Welcome added that this will take the number of public rights of way in the town to 41. 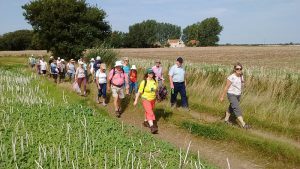 In order to celebrate these valuable additions to our rights of way network, Dereham Walkers are Welcome has arranged a ‘New Routes’ walk on Monday 27 August. This walk will explore all of the routes now recognised. 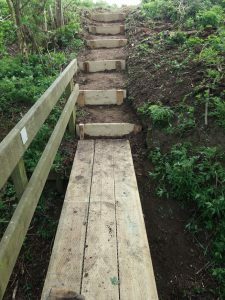 (It will also use one additional route which is to be dedicated as a bridleway, and will take the opportunity to call in briefly at Badley Moor Common.) The walk is about 6½ miles long, taking about 2¾ hours. Any walker is welcome: bookings can be made through Ken Hawkins at dtc.fpwarden@talktalk.net or on 07505 426750. Details of the routes are available at this link – Application Routes. Hike Norfolk, one of our groups in Norfolk Area Ramblers, held a walk leading training day today to help more walkers feel confident in leading walks. 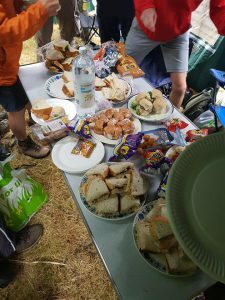 The event, attended by 24 people, was held in Dereham and involved some map training, a rather lovely lunch and then a six-mile walk to practice some of the skills discussed earlier in the day. We had a lunch spread after all that listening to Richard made people feel hungry. Bev, Jonathan and Steve did a great job in the kitchen making the sandwiches, although there were some comments about the decision of Julian to buy uncut bread. Julian was quite right though (since I’m the one writing this, I define what is correct and what isn’t….) as it looked far more rustic that way. 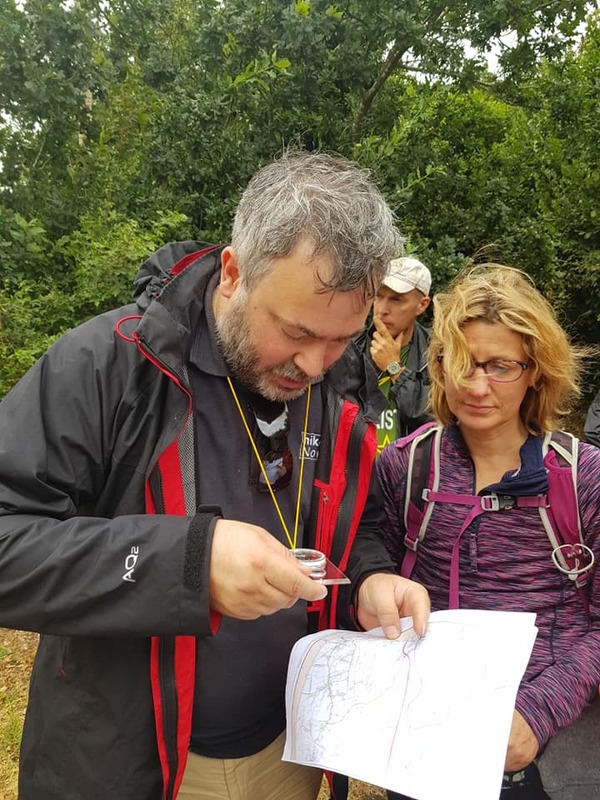 Richard and Sarah during the hands-on training in the afternoon, where some of us used phones and GPS to navigate the walk, whilst some others used paper maps. We encourage walk leaders to use whichever method that they’re happy with. 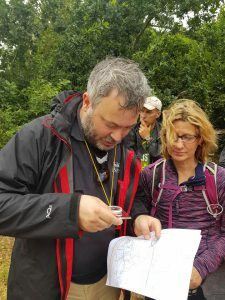 We were pleased to see the delight on the faces of a couple of members when they realised just how easy having GPX files on phones really was (I exaggerate slightly, but they were definitely pleased). 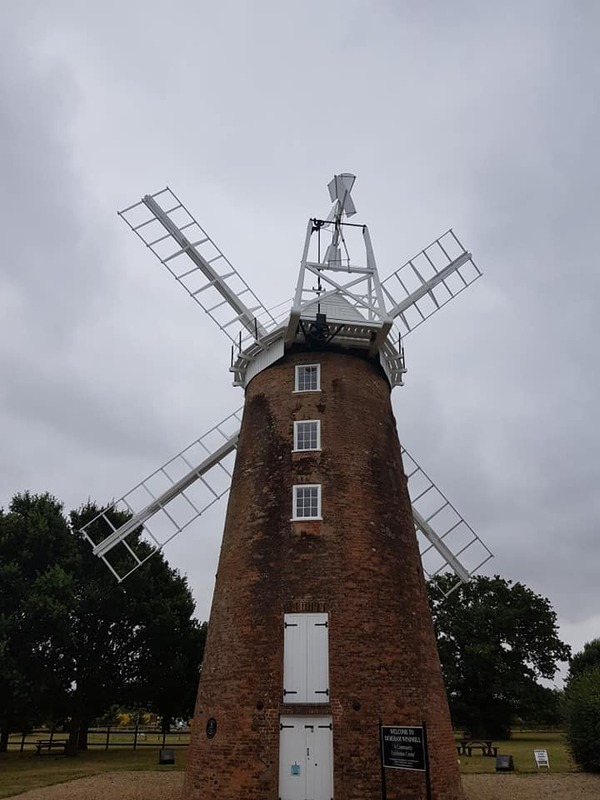 A mill on the walk in Dereham, which Richard taught people to consider as a landmark to assist in finding our location on paper maps. Richard, our area chairman, holding up a sign and looking quite heroic. 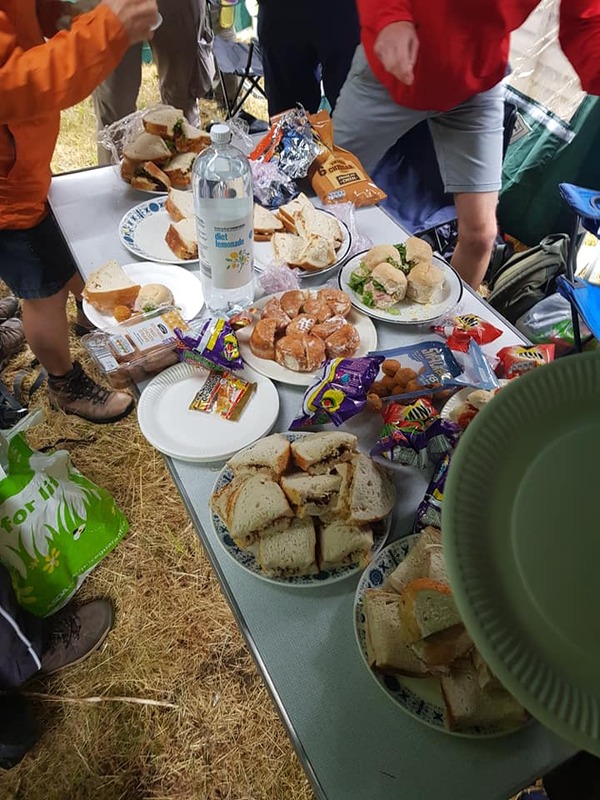 Also, thanks to our area treasurer, Peter James, for dropping off the Ramblers area marquee in the morning, something which proved essential given the rain we had. 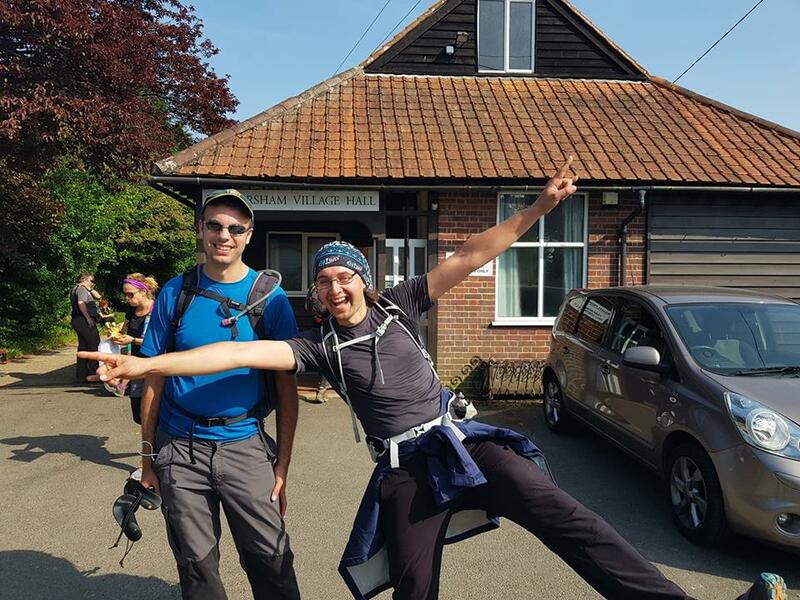 The day was a combined social event and training day, which is designed to encourage individual to lead walks. The Ramblers offer hundreds of led walks across Norfolk every month, and we’re really grateful to all of our walk leaders for their hard work. We’re delighted to see new people keen to join their ranks and hope they lead many walks in the future. Thanks to everyone who helped on the day, it’s much appreciated and following the feedback we received, we’ll do it again next year! 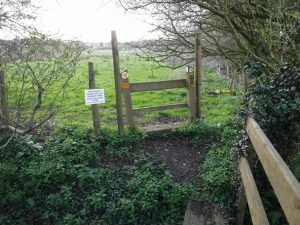 Rights of Way Sub-Committee – What Happens? 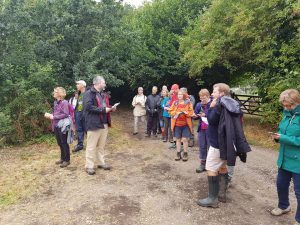 The officers, group representatives and interested parties attend three meetings a year, which are our area council meetings for Norfolk Area Ramblers. 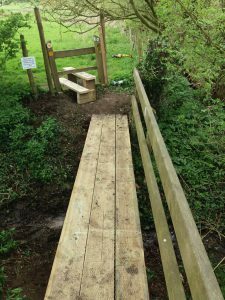 We also have a rights of way sub-committee which meets a similar number of times a year to discuss matters of importance to the paths network. This sub-committee met last week, and in a bid to help explain what goes on, and the importance of the committee, we’ve (many thanks to Ken, the area secretary) put together a short summary of what took place. 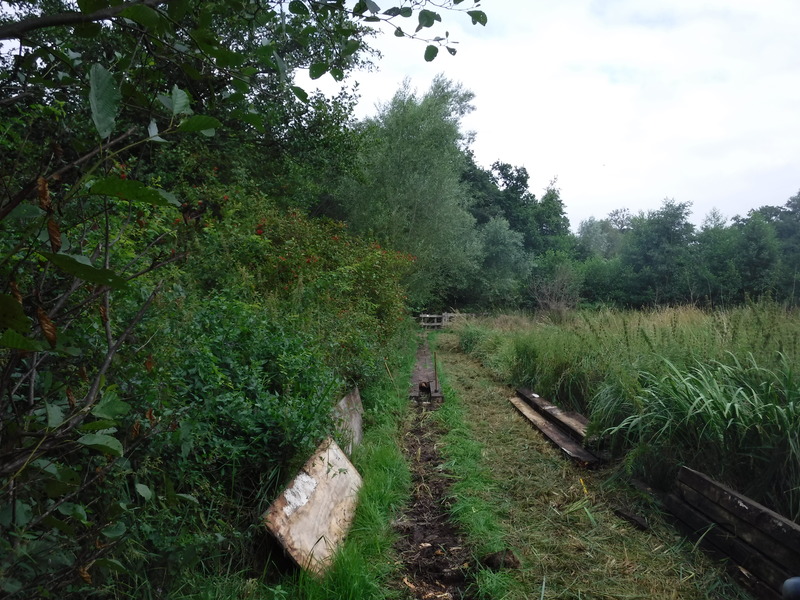 For anyone who is interested in this type of work, do let us know, we need help in numerous areas such as footpath officers, assistance with 2026 and help monitoring planning applications. At the meeting, representatives from across the county considered a range of issues, the following amongst them. 1 – Big Pathwatch: the Big Pathwatch app is still active, though now used only by a small number of people – only 200 adverse reports were received in the last 18 month, many from just a couple of individuals (who are not identifiable to us). 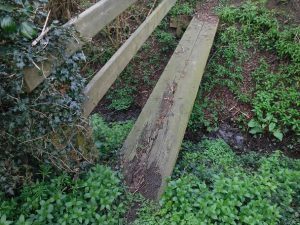 Reports of the problems are sent on to Norfolk County Council (NCC), but we are not clear about the extent to which they are used. We have asked Central Office about their use of the data, and are told that they were working on getting the information live on the website to show the different problems that are being reported across the country. 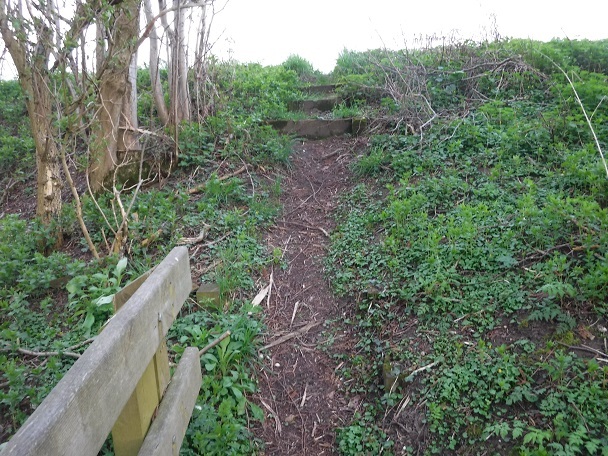 It was noted that this was separate to the Big Pathwatch report which was carried out in a systematic way to show the condition of the footpath network at one point in time. 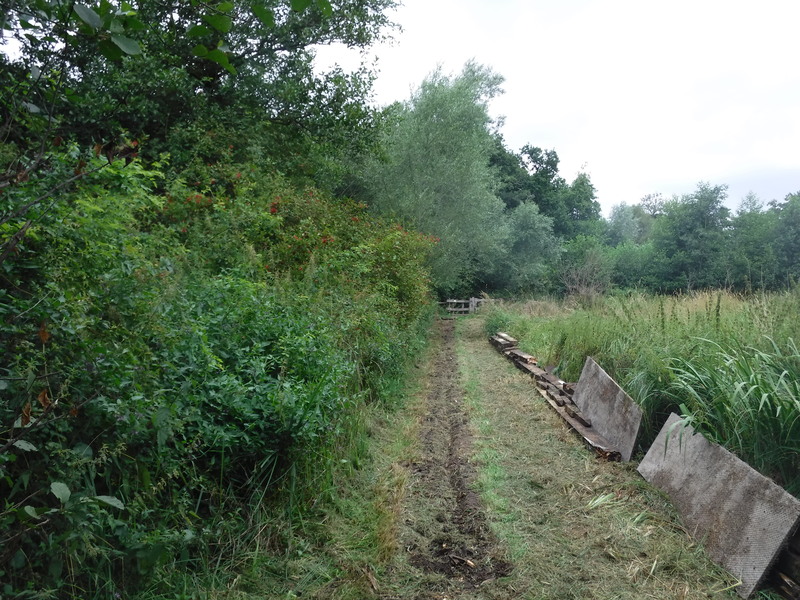 We are planning to add path names to the reports we receive to see what use we can make of them. Our main concern is that, as we are unsure of the use to which NCC puts the reports, we continue to urge everyone encountering an issue to report it directly to NCC, ideally through the online reporting system, which has been improved recently. 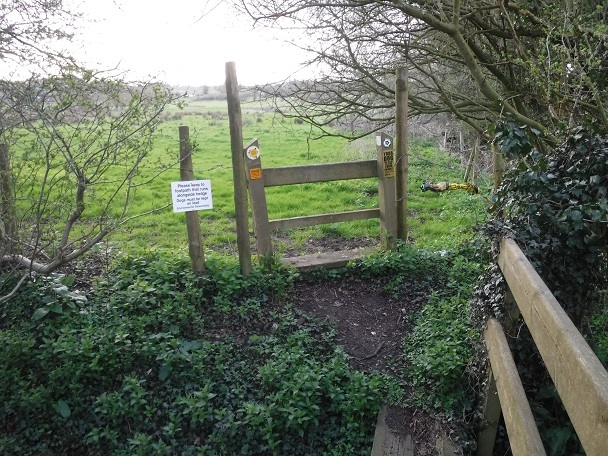 3 – Actual and proposed changes to the public rights of way network: the Subcommittee reviewed a number of changes, where necessary agreeing the response to be made by The Ramblers. 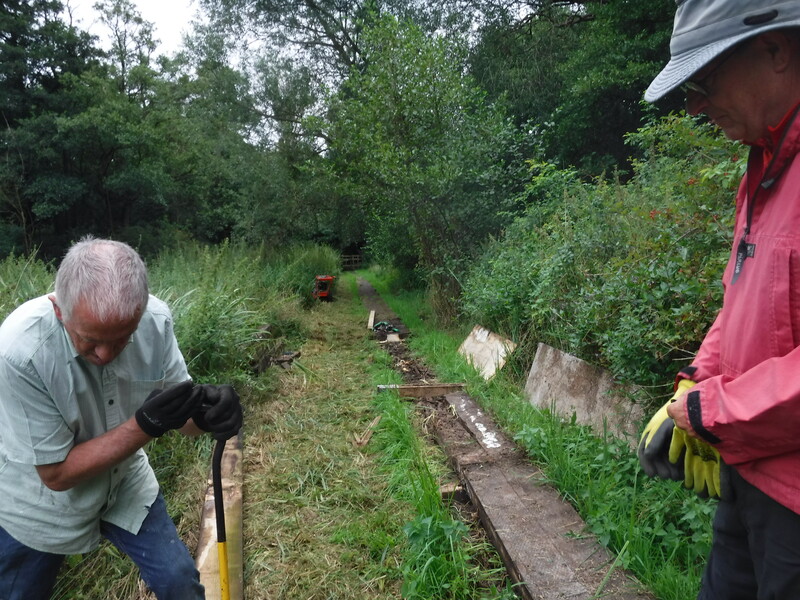 This work depends heavily on the activity of Ian Mitchell, our Footpath Co-ordinator, in maintaining awareness of what is happening, making visits where needed, and presenting the relevant information to the subcommittee for comment. 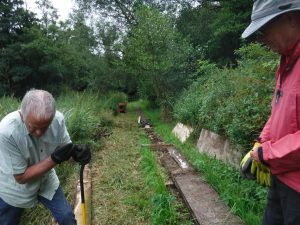 4 – Restoring the record: Ian also reported on his involvement with the national Ramblers ‘2026’ work, under the title Don’t Lose You Way. He continues to attend a Volunteer Board meeting, roughly every two months. 5 – England Coast Path: responses to the consultation on the route from Weybourne to Hunstanton were noted; both we and NCC were concerned particularly about (1) access to the salt marsh areas in a number of places where Natural England proposed to restrict or ban access, (2) the derisory sum offered for the establishment of the route and (3) the proposal to route the path alongside the A149 near Titchwell.